Danny Boice is the CTO of Speek, a 500 Startups funded startup that lets users do conference calls with a simple link (speek.com/YourName) rather than using phone numbers and PINs. Danny contributes regularly to the Wall Street Journal, Washington Post, PandoDaily, Fast Company, and other publications. He attended Harvard undergrad and did advanced studies at MIT. Follow him @DannyBoice. I take this quote to mean that you should find the thing that you are intensely passionate about first and foremost. Once you have found that thing then spend the rest of your life working your a*s off to be great at it. Only get in bed with people you really like. This applies to co-founders, partners, you name it. When my first company was acquired I was heavily incentivized to join the management team of the company that acquired us. I really did not get along with the founders of that company and we rarely saw eye to eye. I felt marginalized and believed that my talents were under-appreciated. It was an absolutely miserable experience for me and I spent a couple years being unhappy. It’s just not worth losing years of your life. I put together a to-do list for the day using todoist. Then I get myself to inbox zero. I like starting the day with a conscious plan of what I want to get done and I don’t like checking email throughout the day because it is a barrier to getting things done. Keep your nut low. This applies to personal life and business. The lower the expense structure the more freedom you have. Become an expert in the Lean Startup methodology. The best management approach I have found to date is using data and science experiments to make decisions. Success means having the freedom to do what I want when I want to do it. Money, time, obligations, and contracts should not be a factor. I call it “airplane money.” If you can wake up in the morning, isolate the place you really want to go today and jump in a plane and go there, then you’ve achieved success. 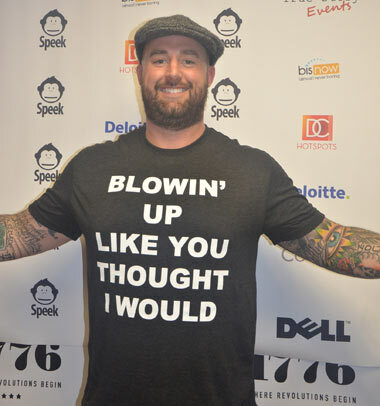 Danny Boice spoke at this huge startup conference last year and he’s back again this year.